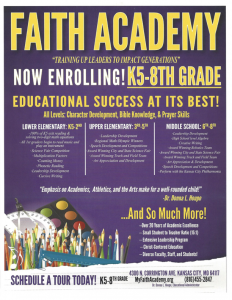 We’re glad you have decided to enroll in Faith Academy! Before you get started, take a look below at the enrollment forms. Please note that we will process your enrollment as quickly as possible, but it can take up to a few weeks from start to finish—especially if it’s close to the start of the school year—so don’t wait until the last minute!